· Bake cupcakes. Dad can do this with your little one or you can try this as a mother-child activity. 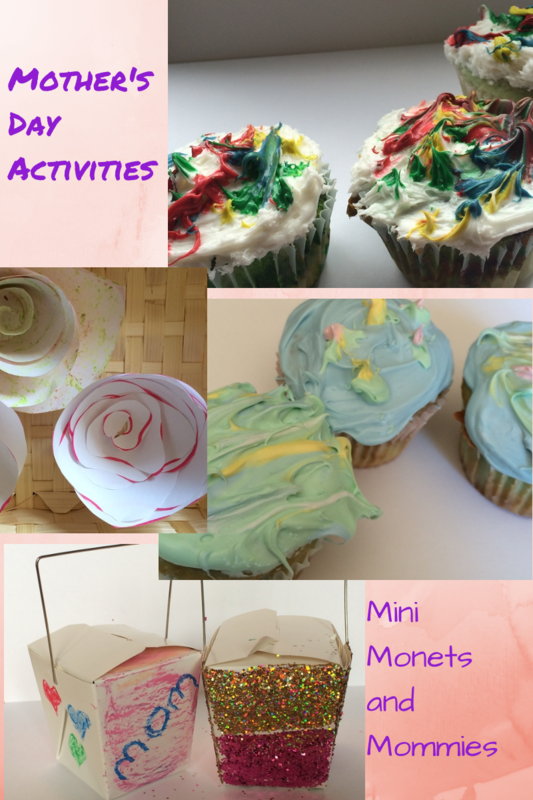 Get artsy and make Impressionist or Jackson Pollock cupcakes, using the frosting as a canvas. · Make a planter, packed into a take-out container. Reuse or buy mini take-out containers, decorate, add soil and a seed. · Make a mommy and me book. If you have an older child or teen, try click on the link for 5 Mother’s Day Activities to Try With Your Teen or make s’mores like my son and I did. He added sprinkles to the already warm and mushy marshmallow for an extra kick. And, happy Mother’s Day to all of you creative, amazing and hard-working mommies out there!